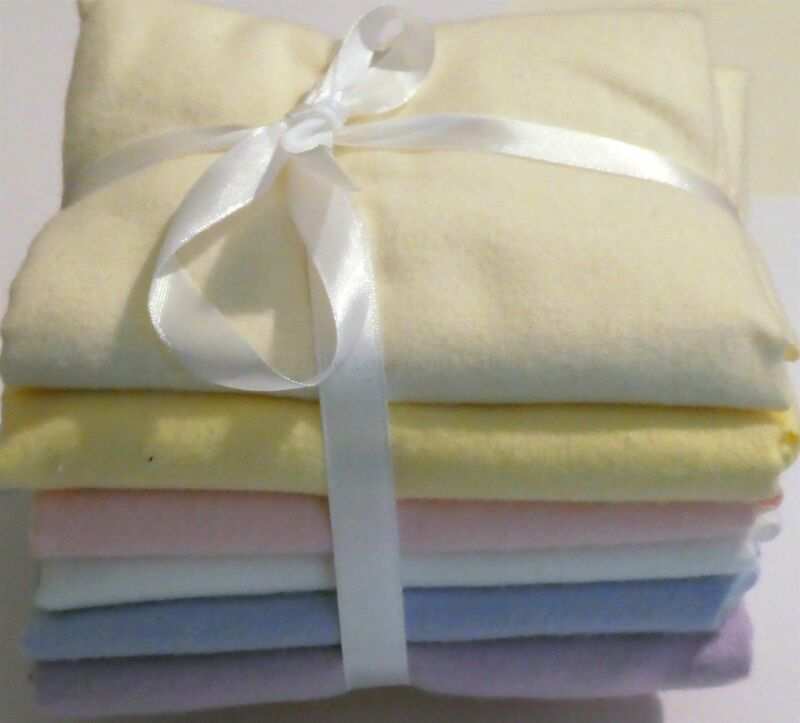 Bundle of 6 fat quarters of 100% cotton flannel. From 44" fabric. Yellow,pink,blue,lilac. cream and white. All available by the metre.